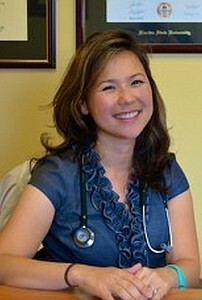 Dr. Ly grew up in North Florida and received her undergraduate education from The Florida State University. She proceeded to get her medical degree from the University of South Florida College of Medicine. She then went to the great state of Ohio and completed her pediatric training at The Ohio State University at Nationwide Children’s Hospital. She was ecstatic to come back home to Florida and did her Allergy and Immunology fellowship at the University of South Florida (USF). During this time she found a true passion for taking care of patients with asthma, allergies, hives, eczema, recurrent infections, and eosinophilic esophagitis. She has a special interest in primary immune deficiencies and did research in Severe Combined Immunodeficiency or “Bubble Boy Disease”. Dr. Ly has continued her strong roots to USF, and is an Associate Clinical Professor at All Children’s Hospital where she loves teaching residents and fellows. Dr. Ly is a member of the national allergy societies American Academy of Allergy, Asthma and Immunology, and the American College of Allergy, Asthma, and Immunology. She is also a member of the Florida Allergy, Asthma and Immunology Society, Florida Medical Association, and Sarasota County Medical Society. Dr. Ly’s husband, Tan Ly, is an orthopedic spine surgeon practicing at Southeastern Spine Center and Research Institute in Sarasota, FL. In 2013, they had their beautiful daughter Evelyn Rose and started the many adventures of parenthood. Dr. Ly loves to read, cook, travel, and hike the national parks. She is also a bad golfer. Editors: Lockey R, Ledford D.